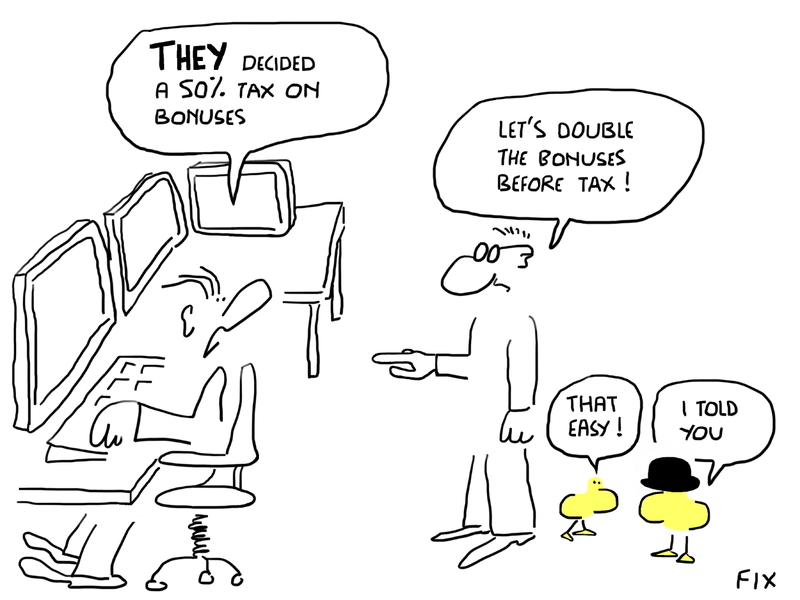 Cartoons - Dessins - Tax the @#é%$*^%§ bonuses ? Tax the @#é%$*^%§ bonuses ? 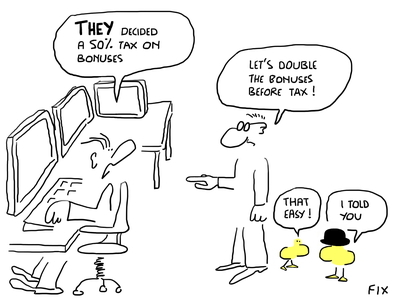 Or should we say @#é%$*^%§ tax on bonuses ? how can you beat bankers ?